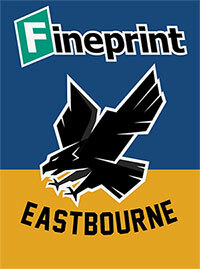 Welcome to our Guide to a Night at Arlington Stadium, to help you make the most of a night out watching fast and furious speedway with the Eastbourne Fineprint Eagles. We aim to provide you with the best possible experience at Arlington. 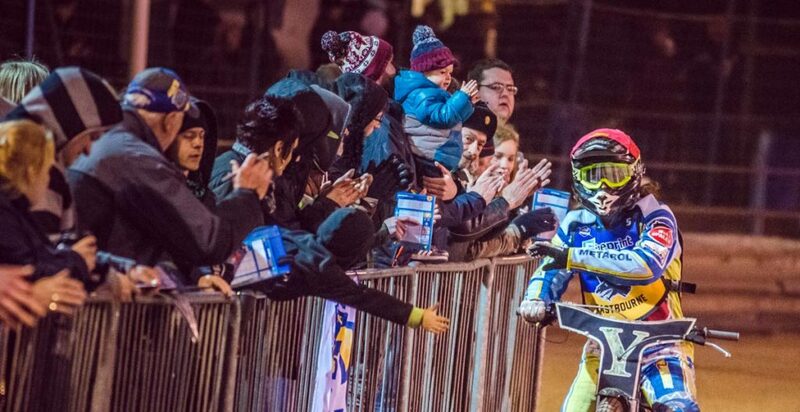 Speedway is a friendly, family orientated sport which caters for all ages. Along with a range of facilities throughout the stadium, we also provide disabled access, and also allow dogs at the stadium, as long as they are kept on their lead at all time. There is a large Car Park adjacent to the Stadium with lighting (for dark nights after the meeting in Spring and Autumn) and Car Parking Guides. Car Parking for Speedway is FREE. We politely request that all Cars are parked only in the designated Car Park and in a sensible manner and not on any side roads or verges. It is vitally important that Emergency Services have FULL ACCESS at all times to Access Roads inside the Stadium and in the Stadium Car Park and adjacent Roads. Speedway is a dangerous Sport and speed and access for all Medical and Emergency Services is vitally important. Your co-operation in this matter is much appreciated. In the Event of serious injury and a meeting being Abandoned, we would request your co-operation in allowing any Emergency Services to clear the area before blocking access to the Main Entrance and surrounding Roads. 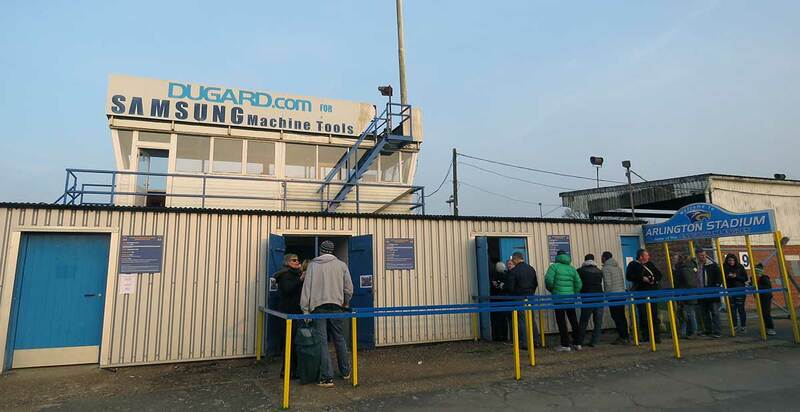 All Spectator Entrance (unless on a pre-arranged Community Visit, where specific instructions may apply) is via The Turnstile / Admissions Area which is clearly signed and on the Home Straight of the Speedway Track. This is visible from all parts of the Spectator Car Park and no more than a flat 100 metre walk from any part of the Car Park. There are designated Card Payment / Cash Payment Turnstiles and a specific larger Door Access that is DDA Compliant to the left of the Turnstile Area. This door can also be used for Pushchair Access. 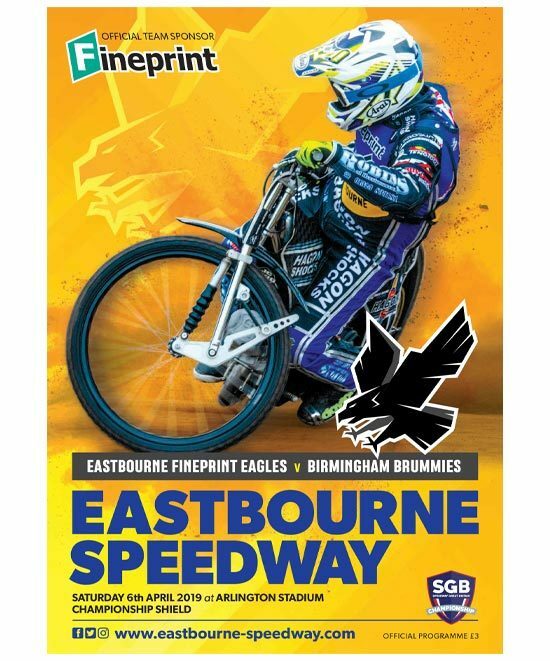 A Programme is an intrinsic part of the enjoyment of Speedway as it includes lots of helpful information, not in the least a full Meeting Scorecard for you to fill in to keep a track of Riders and Team Scores and Race Times. Our Award winning Programme (voted Best Speedway Programme in 2 of the last 3 years) costs £3.00 and has 24 pages of information and some great Pictures and Articles. It also acts as a FREE RAFFLE TICKET in to our £100 WEEKLY CASH DRAW meaning at each Meeting one Lucky Programme Holder will go Home £100 Richer – there may also be “spot prizes” linked to your programme at some designated Meetings. There is a large 2 Tier Grandstand on the Back Straight with Approx 650 Lower Tier Grandstand seats. 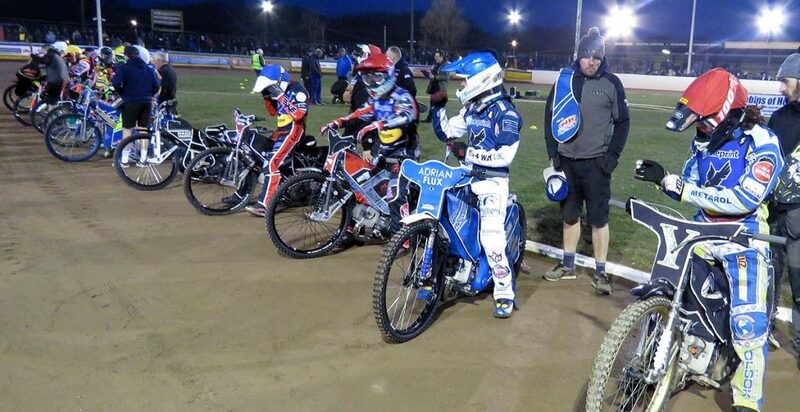 These Seats are FREE for Speedway Meetings and can be taken on a “first come first served basis”. There is a Panoramic View from the Upper Tier of The Grandstand which includes a small amount of Track Facing Fixed Seating and a Bar. There are also Offices and a dedicated (new for 2019) Sponsors Area on the Upper Tier together with a dedicated area for Eagles TV. (Please ignore the Seating £1 signs on Speedway Events – these are for Stock Cars only). There is a Covered Stand (Standing only) on the Home Straight and this is accessible by turning right, as you leave The Turnstile Area. 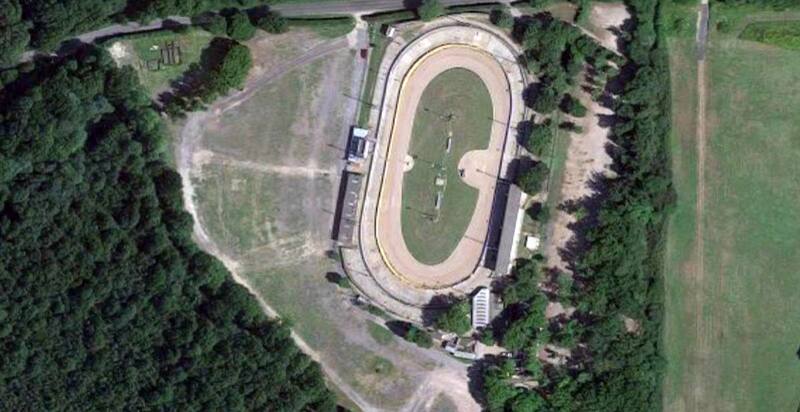 There are Standing Areas on the Pits (1st / 2nd Bend) Turn and The Hailsham (3rd / 4th) Turn. We also have some Standing Areas on the Concrete Stock Car Track adjacent to the Starting Gate on the Home Straight. This is in a clearly defined and cordened off section and under no circumstances should Spectators venture outside of the designated area. All Standing Spectator Areas are behind a Catch Wire Fence on the Stock Car Track that is designed to have full viewing visibility. Arlington Stadium is unlike a Football Stadium allowing viewing from all parts within designated Areas. You are also welcome to walk all around the stadium during the meeting. There is a Fully Licensed Bar behind The Pits Area that is open from 90 minutes before Racing until around 1 hour after Racing on Speedway Nights. There are Seats and Tables both inside the Bar and Lounge Area (all inside) and an Open Air Seating Area to the front of the Bar. Adjoined to The Bar is a Hot Food Outlet and there are other hot Food Outlets behind the Pits Turn Banking selling various Hot Foods, non Alcoholic Drinks, Ice Cream and Ices and Cold drinks and also Sweets and other food and drink items. This will allow far better facilities and access to browse items. There will be a rail of our official merchandise to view, which can then be ordered by supporters from the website for home delivery and a number of more traditional speedway orientated items on sale from Martin Dadswell, who we are delighted to welcome back to the track shop. If you are unable to go up the stairs to the Track ship, contact one of our community team who will be pleased to help. There is also a Sweet Shop selling Sweets and Drinks to the left of the Turnstile Area and other Hot and Cold Food Outlets on the Hailsham Bend and to the side of The Main Tiered Grandstand on the Back Straight. One thing is for certain, you will never be hungry or thirsty at Arlington Stadium! There are Toilet Facilities behind The Banking on the First Turn (Pit Bend) designated Ladies; Gents and a dedicated disabled Toilet. There are also Toilets in The Main Grandstand (Upper Tier) and via some steps to behind the Banking at the entrance of the Hailsham Turn (Bend 3). There is a dedicated and manned First Aid Post immediately behind the Pits Bend (First and Second Turn) and Fully Trained Paramedic and Medical Staff on hand at all times. 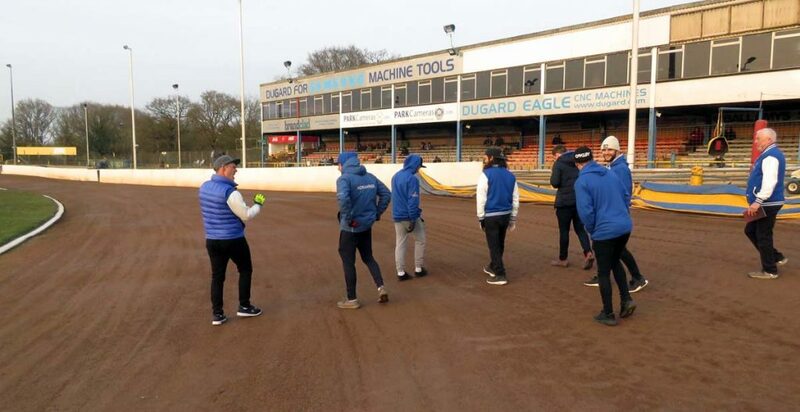 NEW FOR 2019: We plan to introduce STADIUM GUIDES – positioned at key points of The Stadium – Guides with a small Stadium Map and also a “Beginners Guide To Speedway” manned by Helpers (up to the start of the meeting) who will show you how to access various parts of the Stadium and answer any urgent questions. 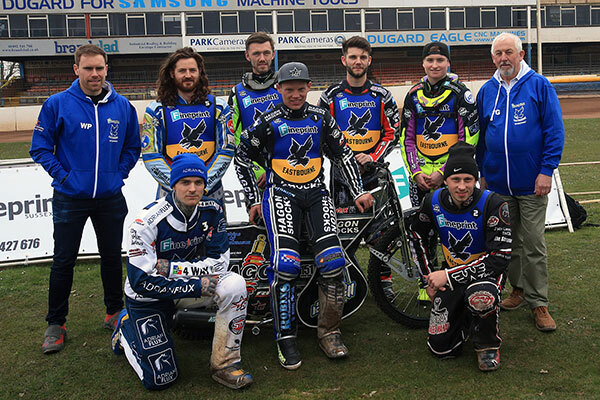 We want to make the Eastbourne Eagles Team and Riders as accessible as possible. The PITS Area will be open from the time the Turnstiles OPEN (usually 6.00pm on a Saturday Evening or 2.00pm on a Sunday Afternoon Meeting) for a period of no more than 40 minutes for chance to have a look around the bikes, meet the Riders and Management; take some Photographs and to get any Autographs that you want. The PITS will be closed at around 6.40pm / (2.40pm on Sunday Meetings) and it is important to quickly adhere to requests to vacate the PITS AREA which is then CLOSED and Out of Bounds to Spectators until approx 10 minutes after the Meeting. Both Teams and the Referee and Officials will undertake a Track Walk prior to the meeting to assess conditions and weather and track surface. This is a fundamental part of pre-meeting strategy for Teams and Riders and is a significant part of the Event to determine Team tactics and also vitally important Machine set up. We have a full PRE Meeting Parade and Presentation at 7.15pm prompt (3.15pm on Sunday afternoons) * (* weather permitting – if there is a danger of rain we reserve the right to try to get the meeting finished promptly and a shorter Presentation may ensue). The Meeting Presenter will announce each Rider in their respective Teams and then Riders will do a full circuit of the Track and a few practise starts to check bike set up. We aim to start all Meetings promptly at 7.30pm (3.30PM Sunday afternoons) therefore ample time should be allowed for Car Parking and Stadium Access to give you time to get to your favoured viewing spot fully fed and watered (if required). 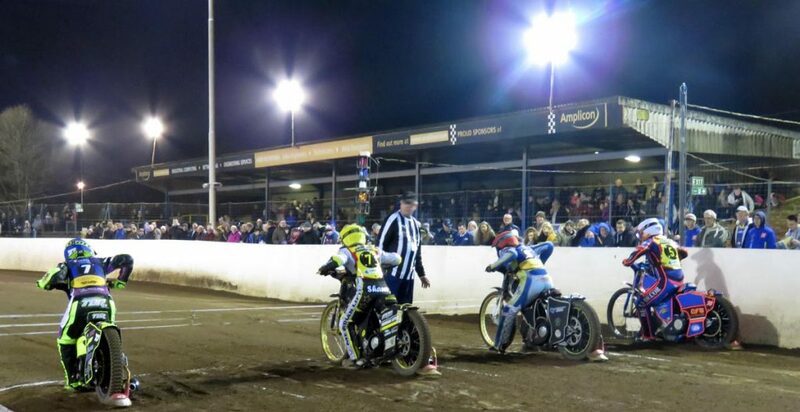 If you are a newcomer to Speedway we would suggest arrival at no later than 6.45 pm – 7.00pm (2.45pm – 3.00pm on Sundays) to allow time to soak up the atmosphere and to make the most of Stadium facilities. Each Race starts at The Starting Tapes situated on The Home Straight. Our track Guides will show you where this is if you are on your first visit. In Team Events the Home Riders are designated by Red and Blue Helmet Covers and the Away Riders by White and Yellow Helmet Covers. By choice following a Toss of a Coin between The Captains at the Start of the Meeting sides will either have starting positions 1 and 3 or 2 and 4 – this equalises any Gate Draw bias throughout the meeting. The toss offers the winning Captain choice of Gate Positions from the start of the meeting, with the opposing Captain selecting his prefered Gate Positions in the nominated Heat 15. There are 15 Heats with Race Positions designated 1st = 3 points ; 2nd – 2 points and 3rd = 1 point ; 4th = 0 points. In the event of a tie, points for the tied positions are added and halved. (Tie for 1st would be 21/2 points each and tie for 2nd would be 1 1/2 points each and tie for 3rd would be 1/2 point each. 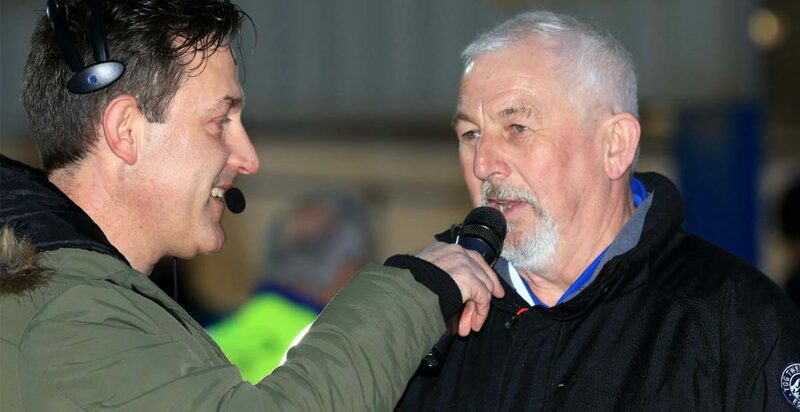 Our Meeting presenter Kevin Coombes will update you on the Scores immediately after each race and will announce the Riders and their Team and Starting Position immediately before each race and will also make other important announcements and give out general information during the Meeting. It is important to Listen for any Emergency or Important Announcements. The Referee as in any Sport has a binding decision and may Exclude or Penalise a Rider for various Offences and these will be explained by the Meeting Presenter during Racing. 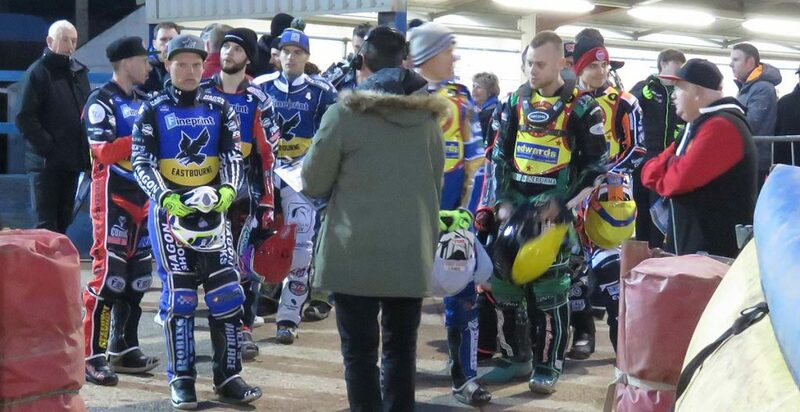 One unique aspect of Speedway is the TWO MINUTE WARNING, this is to ensure that a Meeting runs smoothly and promptly and gives Riders 2 minutes to reach the start, it is designated by a loud Klaxon and an orange Flashing Light, along with a two minute countdown clock. All Bar and Catering Facilities are Open Before / During and After Racing for at least an Hour after the last Race. THE PITS Area will be opened around 10 minutes after the last race (or designated rider Practise) and is totally The Decision of The Clerk of The Course. 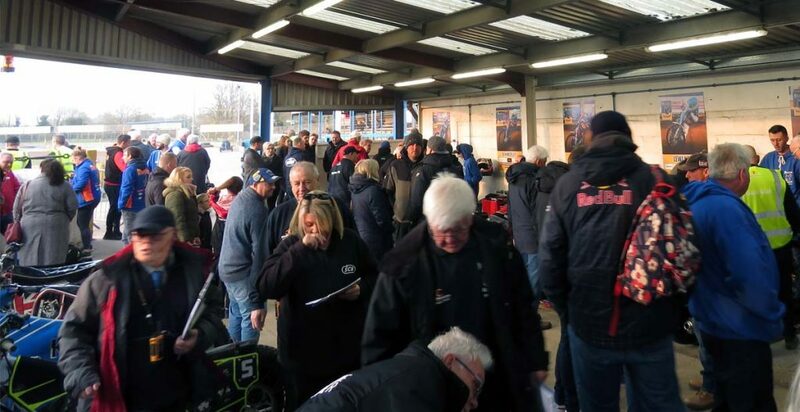 Once he/she has decided that Racing is over and the Area is Safe, you will be allowed to access the Pits and chat to available Riders and Officials and Management as you are before the Meeting. It may be the case that the Team and/or specific Riders have other racing commitments the following day (many have to race in Poland on a Sunday or in the case of a few of our Riders for National League sides in the semi-professional League) but we are sure that all of our Riders will be available when practical and possible for photographs and Autographs after racing. 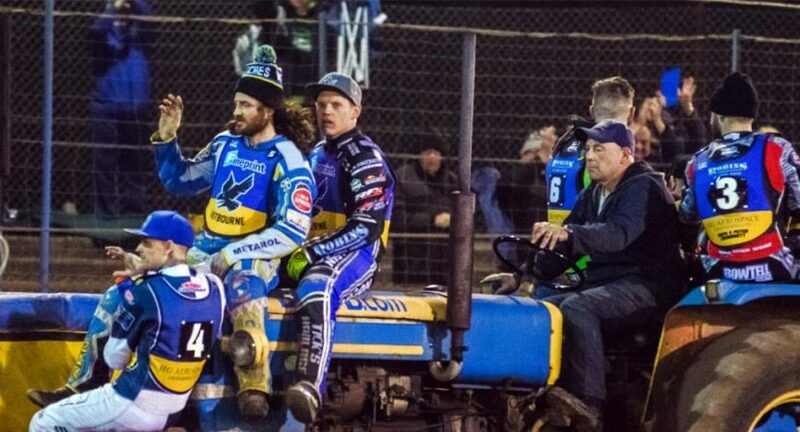 Of course, we hope that you will have enjoyed your Trip to Eastbourne Speedway and will want to come back again and again. 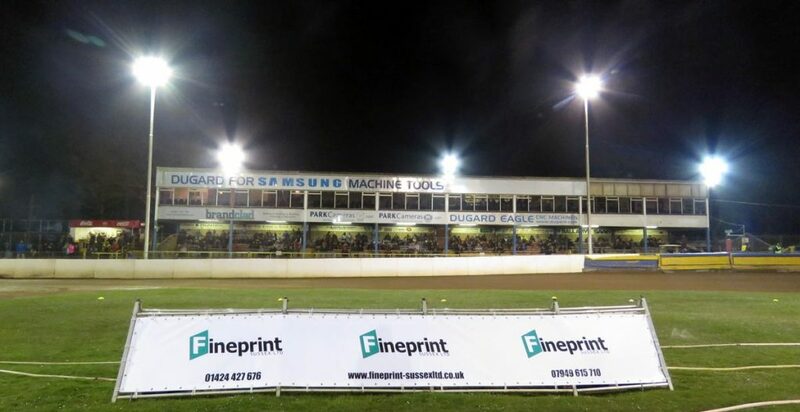 READING RACERS will be racing their Home Matches at Swindon Speedway in 2019. Reduced admissions will be available for any of the following three meetings outside of the B.S.P.A. Shared Events. Those unable to attend within the time scale can apply by post to the Speedway Office.